Proetta & Oliver is a New Jersey Criminal Defense firm. We frequently represent clients charged with criminal felony and misdemeanor offenses throughout Burlington County, including Florence Township. With our experience, we have grown to become familiar with the Florence Municipal Court and the Burlington County Superior Court. 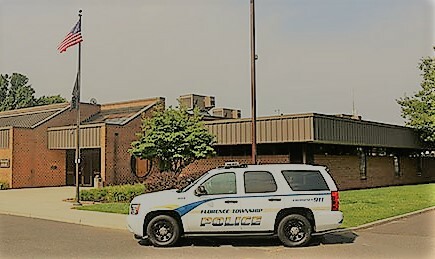 If you or someone you know where arrested or charged with a criminal misdemeanor offense (referred to as a disorderly persons offense or petty disorderly persons offense) or traffic violation, then you can expect to have a court date with the Florence Municipal Court and the Municipal Judge. Some of the common charges we handle for clients at municipal court include possession of marijuana under 50 grams, possession of drug paraphernalia, simple assault, DUI, shoplifting, driving while suspended, leaving the scene of an accident, underage consumption of alcohol and disorderly conduct. Do I Need a Lawyer for Court in Florence, NJ? This is not always a simple “yes or no” answer. Every criminal and traffic charge will carry a different set of penalties and repercussions. For instance, a first offense shoplifting charge may only result in a minor fine from the court. However, if you are not a citizen then this could result in your deportation or if you are a citizen and it is your third shoplifting offense, then you would be facing mandatory jail time. At Proetta & Oliver, we take the time to explain these potential consequences to any prospective client and advise them of how we might be able to assist them with their matter. If you were arrested and charged with a summons complaint by the Florence Township Police Department or the New Jersey State Police, call (609) 850-8284 today and speak with an experienced Burlington County Criminal Defense Lawyer. We understand that a criminal conviction is unthinkable for some clients. We will work on your behalf to do whatever it takes to prevent any criminal record and protect your future prospects for school and employment. Call today for your complimentary consultation. ♦ Honorable Richard E. Andonici, J.M.C. Where is Florence, New Jersey? Florence is located in the northwest region of Burlington County. While considered one of the smaller Burlington County towns in terms of square mileage, Florence is home to over 12,000 residents. Florence sees a great deal of commuted traffic because 295, The New Jersey Turnpike and Route 130 all run through the township. For more information about the township of Florence please click here. It is never easy to face criminal charges alone. Whether you obtain the emotional support of a family member or the litigation support of an experienced criminal defense attorney, you will find that help can make a big difference. However, hiring just any attorney may not suffice. Having the skills and experience of a former New Jersey Deputy Attorney General can be an incredible tool at your disposal. William C. Fay, IV, is a Partner here at Proetta & Oliver and is a former New Jersey Deputy Attorney General. He spent part of his career prosecuting cases on behalf of the State’s top law enforcement attorney. Contact Mr. Fay at our Mount Laurel Office to discuss your terroristic threats, simple assault, shoplifting, DWI, Driving While Suspended, marijuana possession or theft of property charges. For your complimentary initial consultation, call (609) 850-8284 and speak with an attorney today.